Dell launched a refreshed version of its premium XPS 13 laptop ahead of CES 2018. Dell has already updated it’s ultraportable XPS 13 at the end of 2017. It looks like the company isn’t content with the annual upgrade of the year. 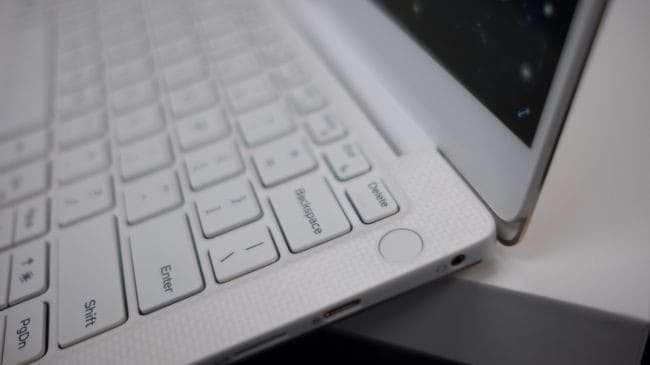 It has overhauled the laptop with thinner bezels, a white option with a resistant coating, a new cooling system and comes in a rose-gold colour edition. 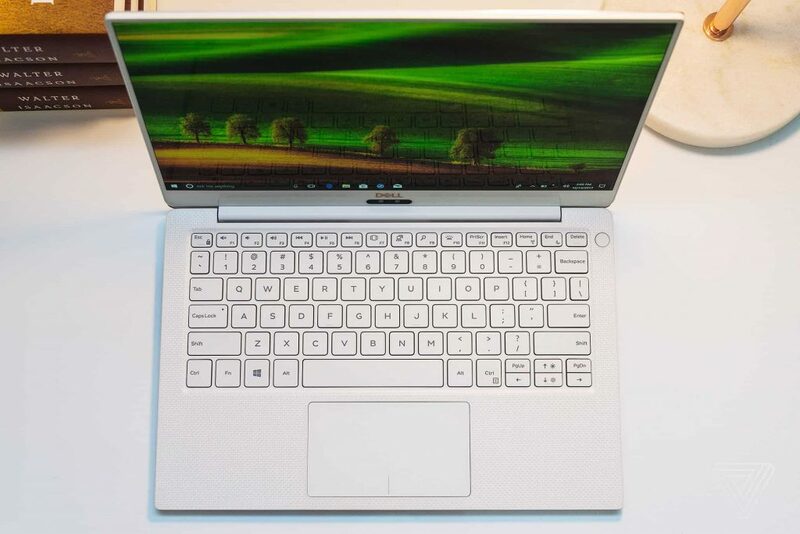 The XPS 13 comes in a white finishing with glass fibre weave along with coating to prevent discolouration, precisely on the areas where we place the hands mostly. Dell says that it is ensuring to make the XPS 13 look as good on day 1,000 as it does on day 1. Also, the newer model of 2018 became the world’s smallest 13.3-inch laptop beating its own predecessor, the 2017 version of XPS 13. The Dell XPS 13 weighs 1.22kg, making it one of the lightest 13-inch laptops in the market. According to Dell, the new laptop is 24 percent smaller by volume with 4mm border around its display giving it an 80.7 percent screen-to-body ratio. This implies the 13-inch InfinityEdge display fits in an 11-inch frame with fewer bezels on all the sides except the one nearest to the keyboard. The infrared webcam for facial recognition is placed at the bottom centred. There’s a fingerprint sensor too built into the power button. 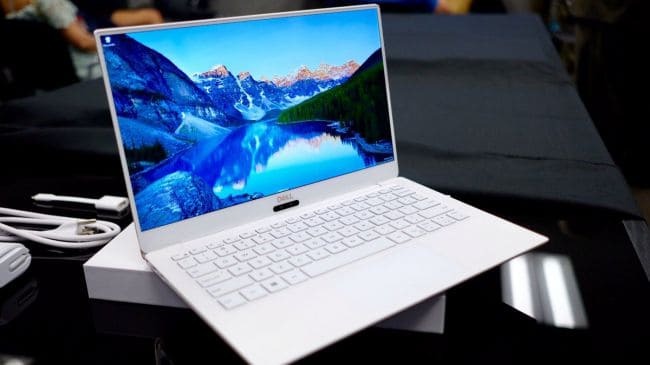 Apart from the design, Dell has claims that the revised version of XPS 13 can stay cool for longer as it doubled the heat pipes, fans and used Gore Thermal Insulation that helps to remove the heat out of the device instead of preserving it in the framework. Also, the screen supports a supports a new suite of technologies called Dell Cinema. You can choose the display from 4K UHD- or full HD-resolution touch displays or a full HD non-touch one. And the maximum brightness of the screen can be 400 nits. The Dell XPS 13 ships with two USB-C ports with Thunderbolt 3 ports, another USB-C port, and a microSD slot. All three USB-C ports can be used to charge or power the laptop. In addition to these, Dell also includes a USB Type-A to Type-C adapter. It will be available at a starting price of $999 in the US from January 4th. The company is also offering a developer edition of the Dell XPS 13 with Ubuntu at $950. For more details, you have to wait until the CES 2018.